This morning, beat the “daily grind” of your Monday with an experience at a true local coffeehouse, Cafe Pony Espresso, located in downtown, St. Joseph, Mo. Walking in, you’ll likely get a nod and a greeting from the locals and hear a bit of area politics. For many, Cafe Pony Espresso is like a classic “Cheers” scene. The regular crowd shuffles in daily, and the barista knows your name — and most likely, what you want to order. Nancy Goode, the owner at Cafe Pony Espresso since 2012, enjoys getting her customers’ drinks started as soon as they saunter in and before they reach the counter. She rewards repeat customers with an index card file, earning a free beverage for a certain number of purchases. The walls are adorned with bright and brilliant art pieces from local creative minds, with a fresh exhibit almost every month. Quaint artistic pieces of various mediums are scattered across community bookshelves, and there’s even an exhibit of archaeological finds from Missouri River banks nearby. If it sounds like Cafe Pony Espresso cares about a genuine customer experience, you’re right. They also care about keeping their brand in front of current and new customers in an authentic way, an approach that Nancy says may have worked almost too well. Cafe Pony Espresso opens its doors often for sharing in a sense of community, with participation in events ranging from Better Block to a recent shoe-cutting event for Sole Hope. 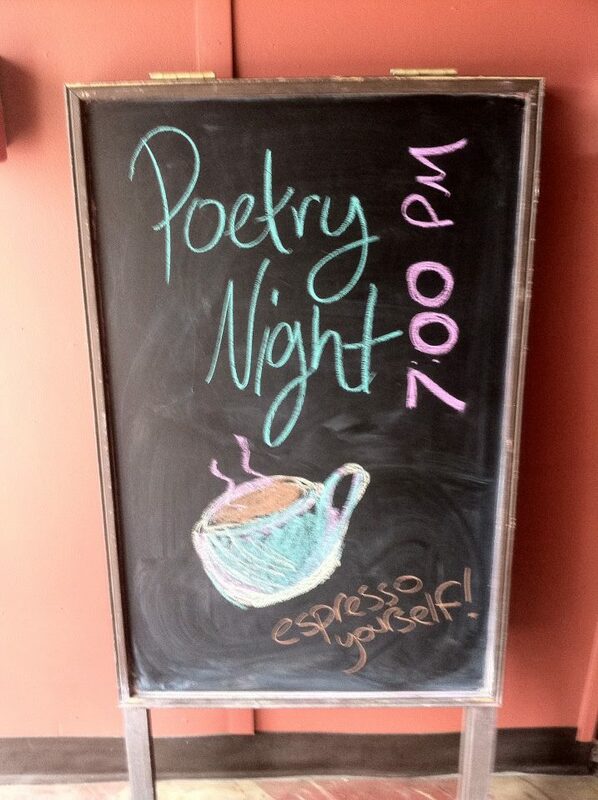 The Final Friday trivia nights have been popular, as well as poetry nights. Nancy and her team are bringing even more of a good thing to the local arts community, serving a signature coffee drink to go along Performing Arts Association shows at the historic Missouri Theater. (Check out the current “Dream Lover” beverage, themed after the Ricky Nelson show. There’s some serious chalk board talent going on to display this beverage.) Cross-marketing with other organizations by sharing information by email and on Facebook is also a helpful tactic Pony Espresso uses to build its brand. Seeing an opportunity for fresh, nutritious food downtown, Nancy prepares homemade soups and sandwiches to extend the menu. Local baked goods are offered daily, and a community bulletin board entices guests to browse art and theater events, yoga classes and many more bits of news while they wait. Even the name of the shop, of course, reflects a unique side of St. Joseph’s history in a clever way. The irony here is notable: guests can send email messages from Cafe Pony Espresso in rapid-fire speed, while the business name and logo pay homage to a historical journey to share a message that would have taken weeks. Today, Susan J. Campbell Copywriting Solutions thanks Cafe Pony Espresso for embracing and sharing what’s great about downtown St. Joseph. Check out Pony Espresso this week for a mini art retreat, to read up on the New Yorker, or to chat over a custom-made creation. You’ll be more inspired — and certainly more awake. This entry was posted in Brand, Consistent Customer Communications, Monday Morning Coffee and tagged build brand value, coffee talk, content marketing strategy, relationships, Susan J. Campbell Copywriting Solutions. Bookmark the permalink.